iOS 12 update is out. Did you, unfortunately, find photos missing after the latest iOS 12 update? Well, it is a fairly common problem. It may be caused due to the iOS device not properly syncing with the backup to restore or being able to retain the photos on the device. Before divulging into more information on how to get back photos disappeared after iOS 12 update, you must note that back up will come in handy in such scenarios. It is therefore prudent to back up your data regularly. 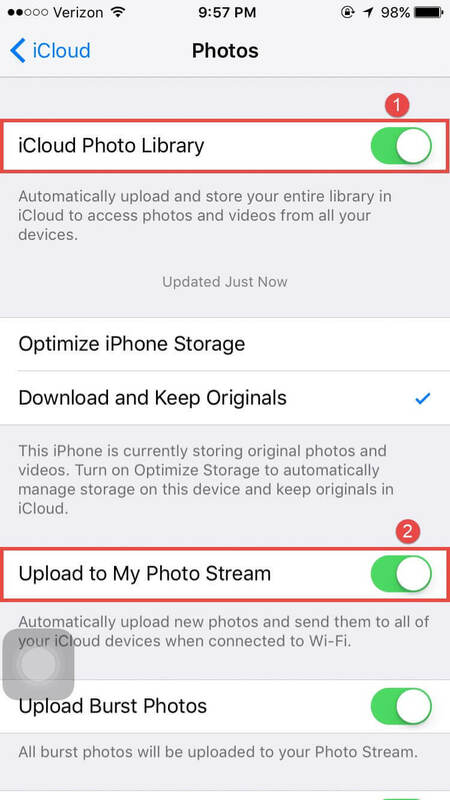 Therefore, we have outlined some of the ways by which you can get back photos disappeared from iPhone after an update. Part 6. 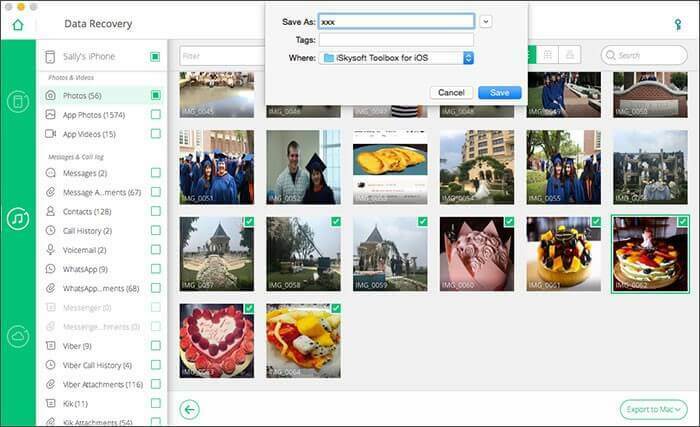 Is there any tool that recovers photos directly from the iPhone on iOS 12? This is simply a basic step that needs to be approached at the first instance. Although it is the initial step, most of the time it helps in rectifying the issue without approaching to other means. Step 1: On this device, you will need to press and hold down both the Side and either Volume button. Wait until the slider appears and slide to completely turn off the device. Step 2: When the iPhone is off, hold on or long press the Slide button until the apple logo appears. Step 1: Start by pressing and holding down the Side button-iPhone 8 or the Top button earlier models and wait till the slider appears. Slide to turn off the device. Step 2: Similarly, while pressing and holding down the Side or Top button, while the device is off, wait for the Apple logo to appear. Also, on iOS 11 or later, the device can be turned off from Settings. Simply go to Settings then General and select Shutdown. Some minor issues may crop up after updating the iOS device which could cause the photos to temporarily disappear. 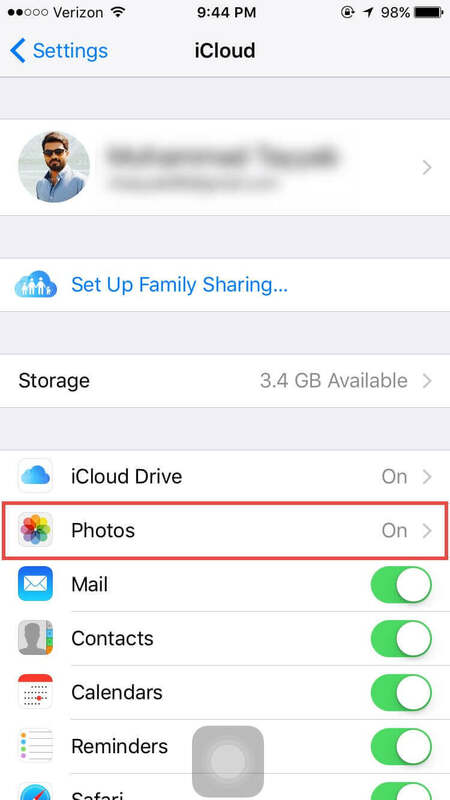 Fixing the issue, whereby iCloud does not sync with the photo’s backup will get back the iPhone photos disappeared from camera roll of iOS 12. Step 1: First, start by turning the sync off then on again to see if this fixes the issue. Step 2: If no luck, locate iCloud. This is through the Settings. Step 3: On iCloud, go to photos. Step 4: Under photos makes sure that the iCloud Photo Library is enabled. Also, check that the Upload to My Photo Stream is enabled. Step 5: You may also log out and log back to iCloud using the same Apple ID to see if this fixes the problem. Note that syncing may take some time. It is therefore good to be patient and wait till the syncing process is through. Once the process is over, once again restart the iOS device to see if the photos are back. Fortunately for those using iPhone 8 or later models, the option to get back iPhone photos disappeared from camera roll iOS 12 is easy. A new feature that is the “Recently Deleted” folder was added with the launch of the iPhone 8. This, therefore, makes it easy to get back images that have been recently deleted. The only shortcoming experienced with this new feature is that the items in the folder only stay there for 30 days before they are completely deleted. Follow the steps below to Get Back iPhone Photos from Recently Deleted Folder. Step 1. First of all, on your iPhone, got to Photos, then Album and open the Recently Deleted folder. Step 2. Tap to select the photo or photos you wish to recover and then proceed to hit Recover to get back the deleted photos. In case this method does not prove fruitful, below is a comprehensive method on how to get back the images from the iOS device. To recover lost or photos disappeared from iPhone after an update, you should prefer to use a comprehensive tool. 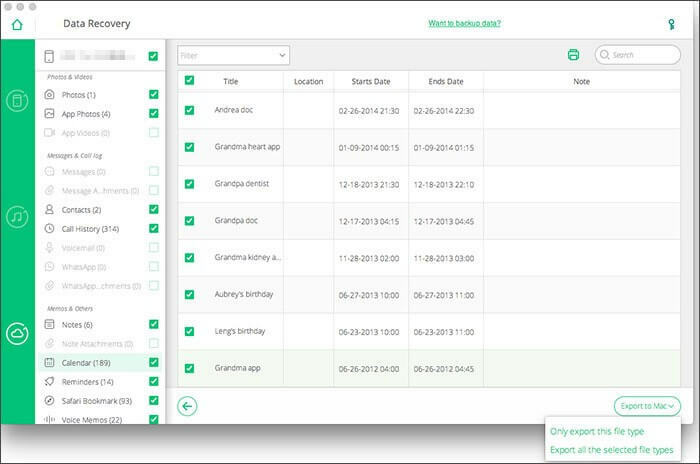 The tool that is recommended to use in such instance is the iSkysoft Toolbox’s iOS Data Recovery Tool. If the above steps haven’t proved effective then the steps outlined below will surely get back any lost data, especially the photos that disappeared from iPhone after the update. 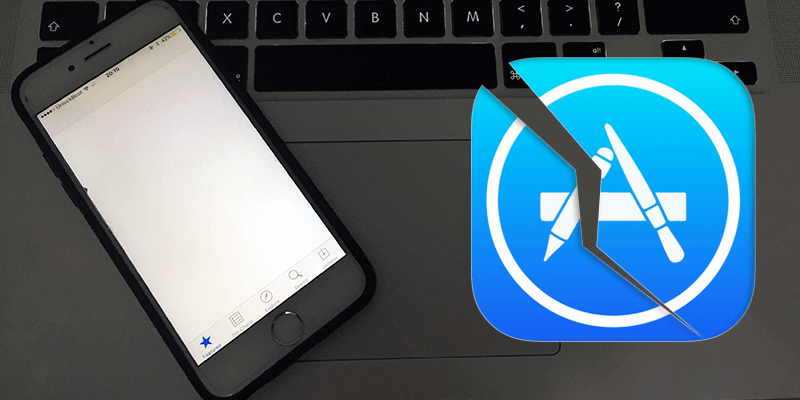 The iSkysoft Toolbox-iOS Data Recovery Tool will recover iPhone photos from iTunes backups. Start by making sure you have got the latest iTunes installed on your Mac or Windows PC. Make sure to turn off the automatic sync function before connecting any device. Step 1. Get, install and launch the iSkysoft Toolbox - iOS Data Recovery Tool. Proceed to connect the iOS device to the computer. You will also have to tap on “Trust this Computer” on your iOS device. After successfully connecting the two, iOS device and Computer, with the iSkysoft Toolbox, select “Data Recovery” on the main dashboard. Step 2. Now, select the “Recover from iTunes Backup File” option to get back the lost files or photos missing after iOS 11 update. Selecting this option will instantaneously detect and display the iTunes Backup File on the iOS device. Select the Backup File containing the data you need, in this case, the photos. Click on the “Start Scan” button and iSkysoft Toolbox-iPhone Data Recovery will extract the data from the backup file. Step 3. You will see that the data will be extracted and displayed in categories after the scan is over. Select the required ones and then you can “Export to Mac” any data you wished to restore or the photos disappeared after iOS 12 update. For those of you who kept iCloud backup of data before the issue of photos getting disappeared from iPhone occurred, also iSkysoft Toolbox – iOS Data Recovery will be a handy solution. It will enable you to perform the recovery of photos selectively from iCloud backup. Step 1. 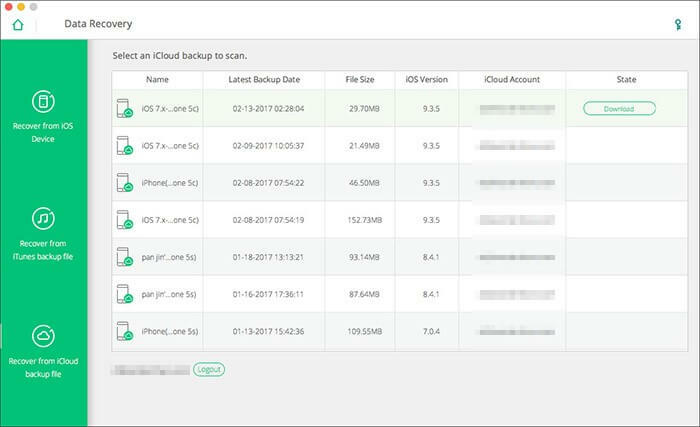 To start with, after launching the iSkysoft toolbox on the software dashboard, select “Data Recovery” and use the “Recover from iCloud Backup File” option. Step 2. 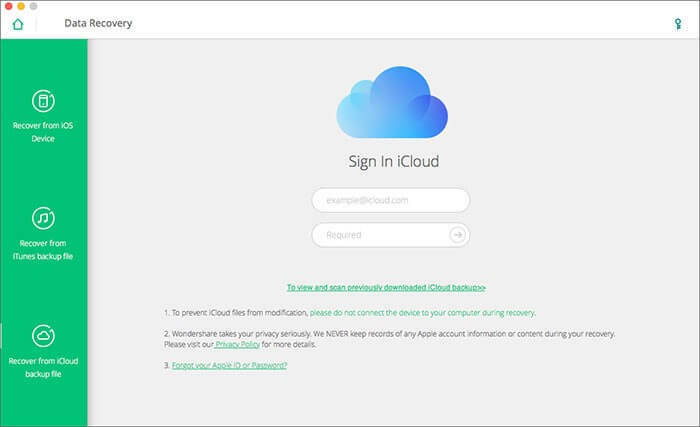 Now you will have to sign in to your iCloud account. To make matters clear, iSkysoft Toolbox-iPhone Data Recovery Software does not collect the login details when signing in to iCloud. Step 3. 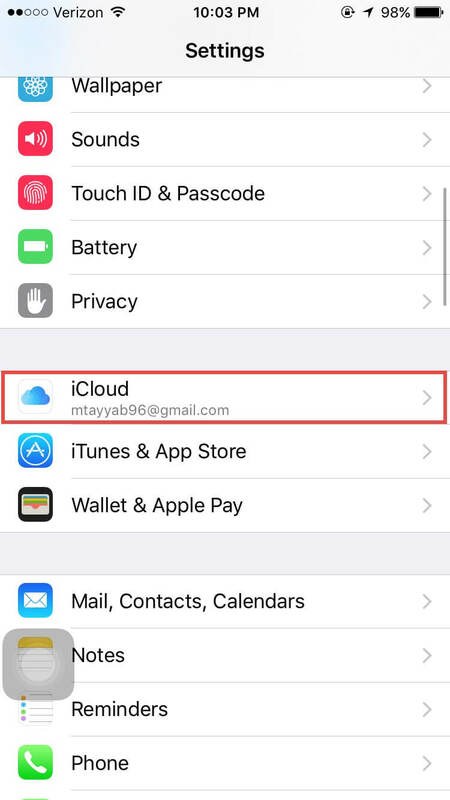 When signed in, the iCloud backup files will be displayed. You will have to find and download the iCloud Backup File with the desired data such as that of the iPhone photos disappeared from camera roll after iOS 12 update. Also, to hasten the process, you will have a prompt option either to select and download certain file type or do a full download of the file. Once the download is over, click next to proceed. Step 4. At this point, the data will be displayed and you will have the option to view the data before performing a recovery. Once done, proceed to recover the data. Well, there is no tool which can recover iPhone photos, videos, or music from iPhone/iPad running on iOS 11/12 directly without backup yet. There are many tools on the Internet which claim they can recover photos from iPhone on iOS 11/12 directly are actually misleading. The only way to recover the lost or the photos disappeared from iPhone after update is by using a software recovery tool. 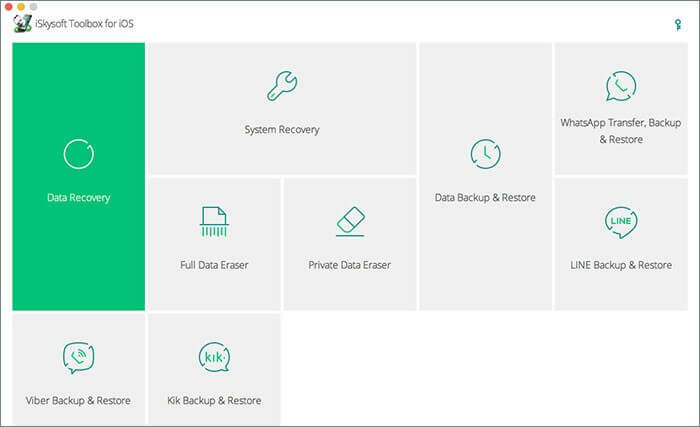 We recommend you to use one of the best data recovery tools, the iSkysoft Toolbox - iOS Data Recovery. 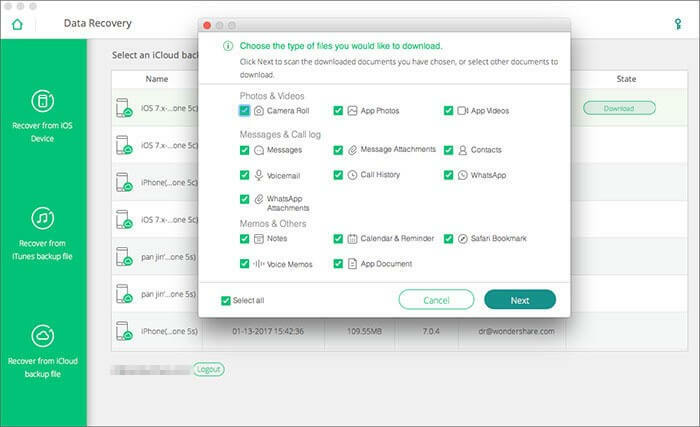 iSkysoft toolbox will give you the option to recover data from a recently deleted iPhone photos folder, iTunes Backup File or an iCloud Backup File. All that is required is to download, install and carefully follow the outlined steps to recover the photos disappeared from iPhone after update. While updating an iPhone gives you an edge with new functions as well as the update on existing features, however, some issues are also experienced with each update. Such issues can include photos disappeared from iPhone after update which is completely frustrating. In the light of recent developments, there have been ways to counter this issue, some that won’t cost a dime and can be done in minutes. 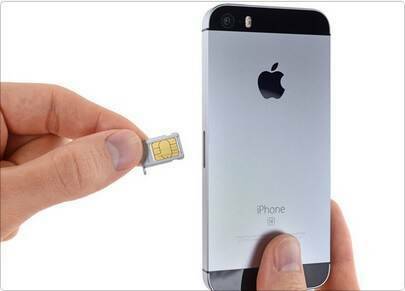 All that it requires of you is precision and you will get back your lost data instantly. We listed some of the methods for you to do so and additionally we advise you to use one of the most highly suggested software - iSkysoft Toolbox- iOS Data Recovery which has been proven to work wonders for all.